¶ A lot of Yamaha Virago models have a problem with their starters. Especially the twin rear shock models. Hit the button and it sounds like a bunch of marbles are knocking around in your crankcase. 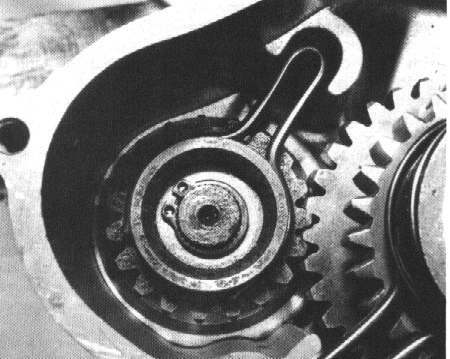 Yamaha put out all kinds of cures that sometimes worked and sometimes didn't. 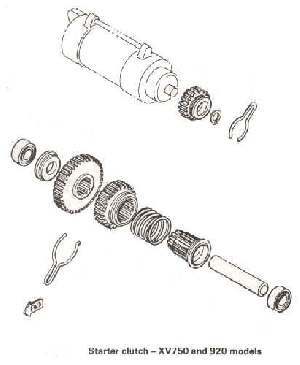 Most of those cures involved adding shims to the starter or changing this gear or that. The factory has a shim kit and apparently it does work on some bikes. 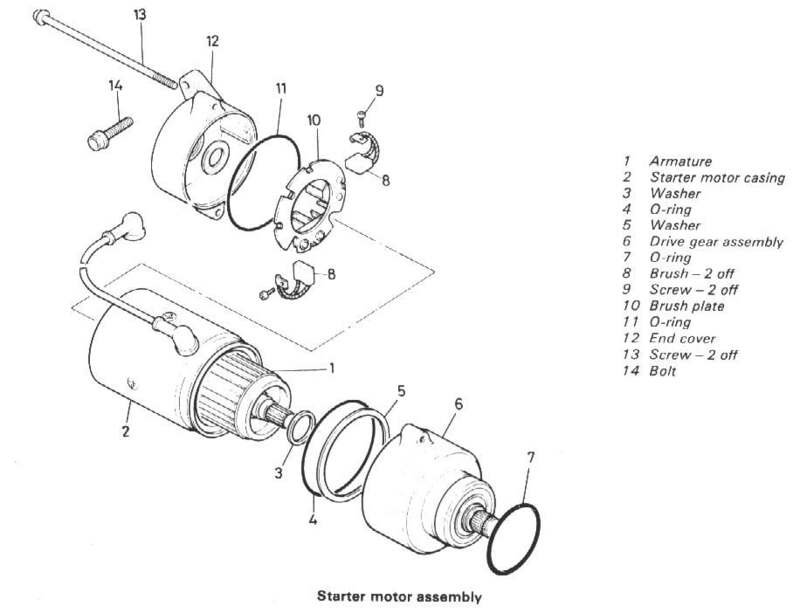 It seems they've changed the starter too. I took some pictures of the Yamaha updates on my micro-fiche and here they are. They are big files because I wanted to give you the best picture, so give them time to load. It would seem that you must add these shims in the starter. Yeah, I know. But you're the one wanting to quiet this pig down... and a lot of guys and gals really love these bikes. Now I have never really worked over a Virago starter because everyone wants it done quick, cheap, and with an iron clad guarantee. That just ain't gonna happen, at least not with me. So no one has ever wanted to pay me to really do a job on one. But you have one, and want to fix it cheap, so here goes. Blind leading the blind, I guess. I'd start by making sure all the usual stuff is right. Battery charged, cable connections clean, that kind of thing. Then I'd put in the shim kit from Yamaha. If the noise is still there, I'd try a little trick one Internet reader sent to me. He claimed this did the trick. 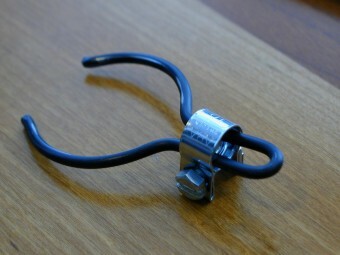 Add a very small hose clamp to one of the friction clips, to give it a better grip on it's shaft. Now the only trouble with this is that he didn't say which clip to put the hose clamp on... there are two of them. I guess I should have asked, but I didn't because I don't really care. Nobodies ever going to pay me to fix one and I'm sure not going to get one... well, probably not, anyway. Have you run an Internet search on this problem? There sure are a lot of pages up about it. I haven't run across this particular hose clamp fix so I present it here. Have fun.